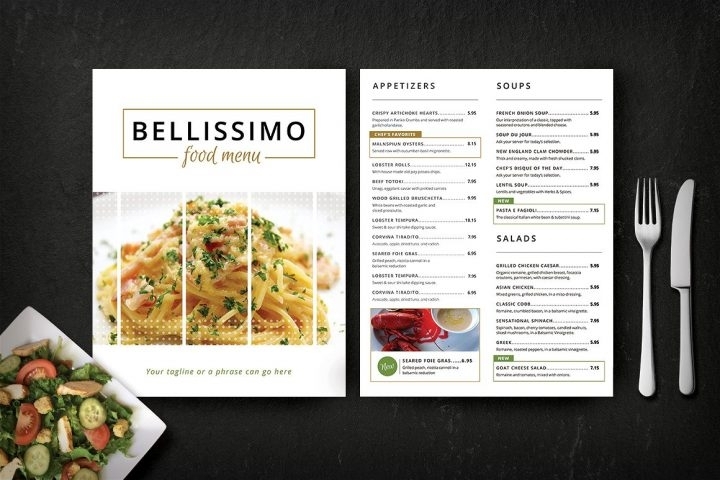 Your menu serves as an advertisement brochure or tool for your restaurant. This is to capture the eyes of random customers to try your undeniably delectable food, dishes, or viands that your restaurant offers. There are some customers who are particularly meticulous when it comes to food, specifically in terms of the overall quality. These are the types of customers that would always look at the menu first the moment they get in the restaurant. This is to ensure that their dining experiences, along with the ambiance is worth savoring. 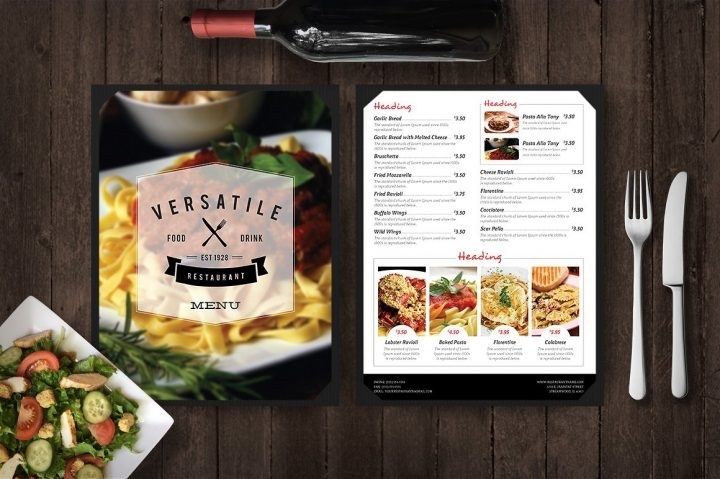 Restaurant menus come in different forms and styles with different creative designs, which depends on the management on how they will creatively make or design theirs. Since these menus serve as the first impressions for each customer, you have to make sure that you have your menu designed accordingly, which reflects your restaurant’s bottom line. 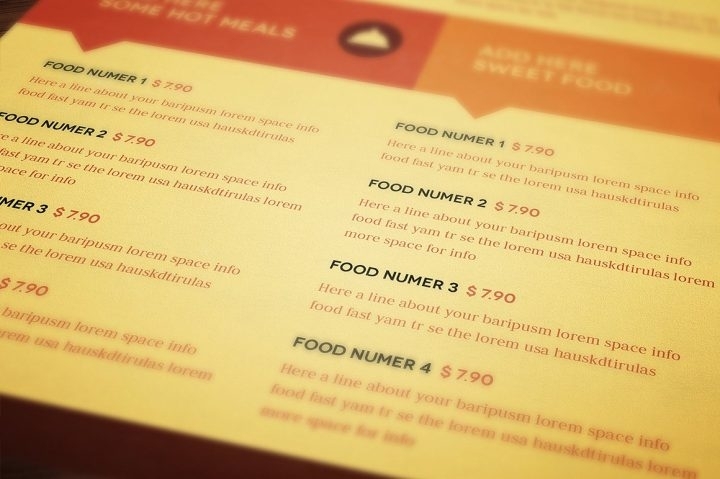 Further on this article are the essential parts that are usually found in the menu, and some few design tips that could help you create a cost-effective one. A reminder before we proceed, always make sure that your menu is up to date. You don’t want a customer complaining about the unavailable dish of his or her choice with a grumbling stomach, do you? The Logo. It is essential that you have an attractive restaurant logo design for the public to recognize your restaurant business with just a glance. This best identifies what your business is all about. The Slogan. This serves as your motto when advertising your restaurant. You could use a persuasive catchphrase for this in order to call their attention and invite more customers to try your restaurant menu. The Categorization. It is better that your menu is categorized or classified with the different categories you have in your restaurant. This helps the customers locate what they are looking for. The Food Images. Your menu should contain awesome food photography that each angle best reflects every food item on the menu. This is a one way of showcasing to the customers how you prepare and present the food you are serving them. The Food Title. The food should have a catchy and memorable title which captures the flavor of the food in order to convince customers to try these fascinating food items in the menu. The Food Description. This is a brief description of the food item, such as the raw materials, and ingredients, that are used in preparing them, as well as a short sentence or two that describes what the customer should expect when they eat the food item. This is for the customers to be guided and be aware whether these food items contain any ingredients that they may be are allergic to or simply do not like. The Food Prices. The pricing of the food or dishes should be in comparison to the cost for preparing them. Food typically costs more than the amount that you would have spent had you decided to recreate the dish yourself. The reason for this is because you have to include not just the raw materials or ingredients, but also other charges such as services, ambiance, electric and water bills, etc. The Contact Details. This contains the contact information such as the contact number, email address and/or website link or address of the restaurant. This is usually placed at the bottom of your delicious food menu, but can also placed at the top depending on your style. The reason for this is for your customers’ reference to save and use them should they have any inquiries, reservations, or if they want to recommend your restaurant to some friends and relatives. Designing your menu is pretty challenging since you have to be creative in the most possible way you can think of, but at the same, designing is also fun. Choose high quality backgrounds and materials for your menu. 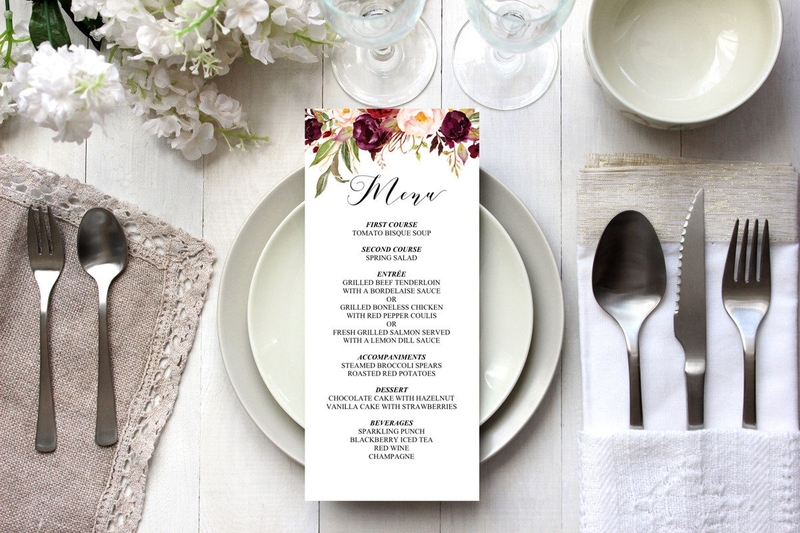 If you are having your menus printed out, use materials that are long lasting. Such examples are waterproof materials which do not get torn easily. Utilize the entire space. Make use of the spaces in front, at the sides, top, bottom and at the back. Just make sure that your menu has the right balance between cramped and spacious. 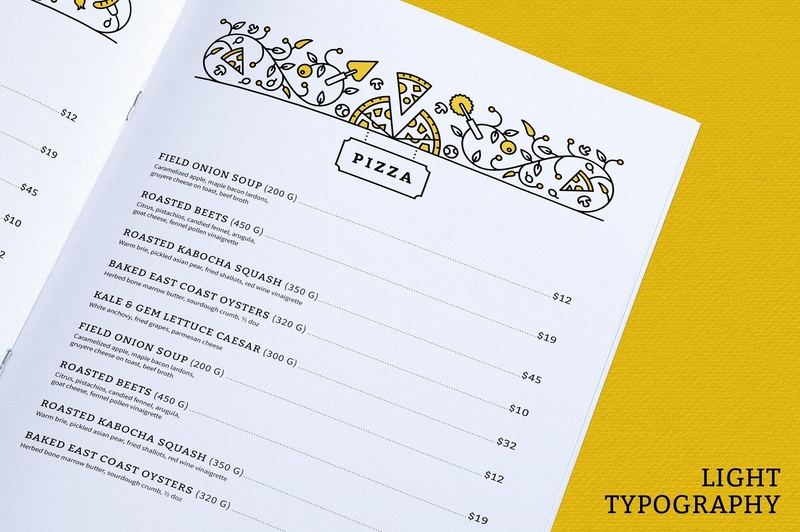 You can make your menus simple, yet elegant at the same time. 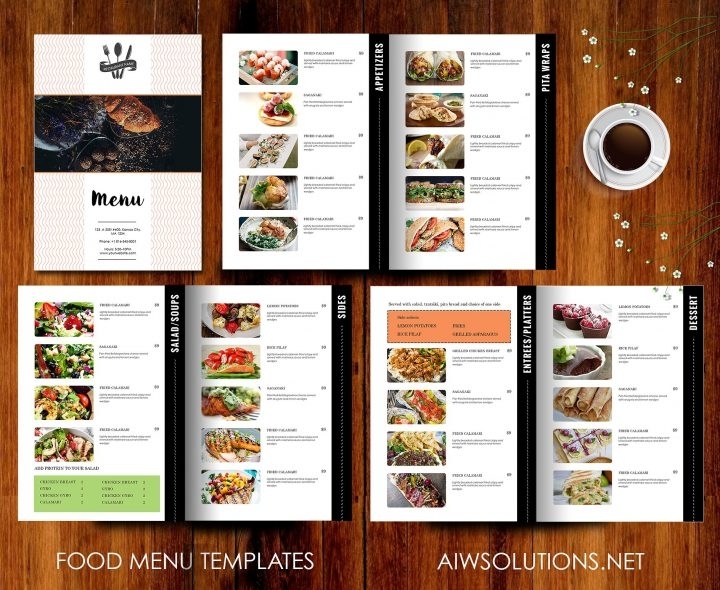 Know how to lay out your menus, whether by developing it into a four-panel card, single paged, or folded in half, etc. Also be specific with the size, typeface and paper stock. Use high quality featured photos of your dishes. Have your food photography edited with top-line photo editors and enhancers. This is to advertise your food and help customers decide what to order. Use an understandable font and visible font size. Fonts could add up to the overall impact of the design. Also use creative words that best describe each of your food in your menu. This also catches the attention of your customer. Choose appropriate color schemes that go with the theme of your company. You can also use multiple colors as long as your menu still look presentable and pleasing to the eyes. Emphasize your best-seller dishes and have them written with a creative food label. Customers would want to know what are the dishes that others usually order and which ones are the best-selling dishes of the restaurant. Organize the content. Know where to place which by categorizing your menu (such as appetizers, main dishes, desserts, beverages, liquors, etc). You could use whatever technique in laying out the content, either by using tables, boxes or lines. You could also make use of realistic food icons in order to easily classify the food in the menu. The use of currency symbols for food pricing is not necessary. The currency does not have to be justified. Create multiple menus. You could create copies for your customers who would order at the same time. You could also make a different menu for each category. 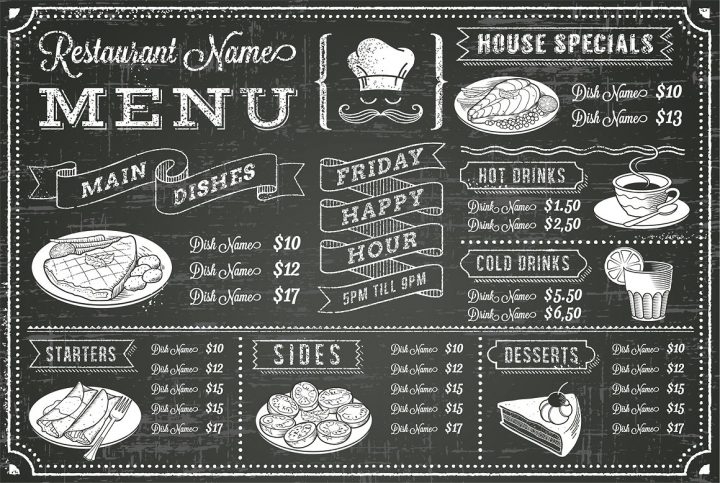 These are just few of the design tips that you could apply in making or creating your restaurant menu. Indeed, designing takes much time and it could be challenging sometimes, but it is interesting and fun. Browse and purchase these different photos provided for you in this article. You could also refer to restaurant menu mock-up to have more ideas on how you could lay out the texts and images of your food menu.